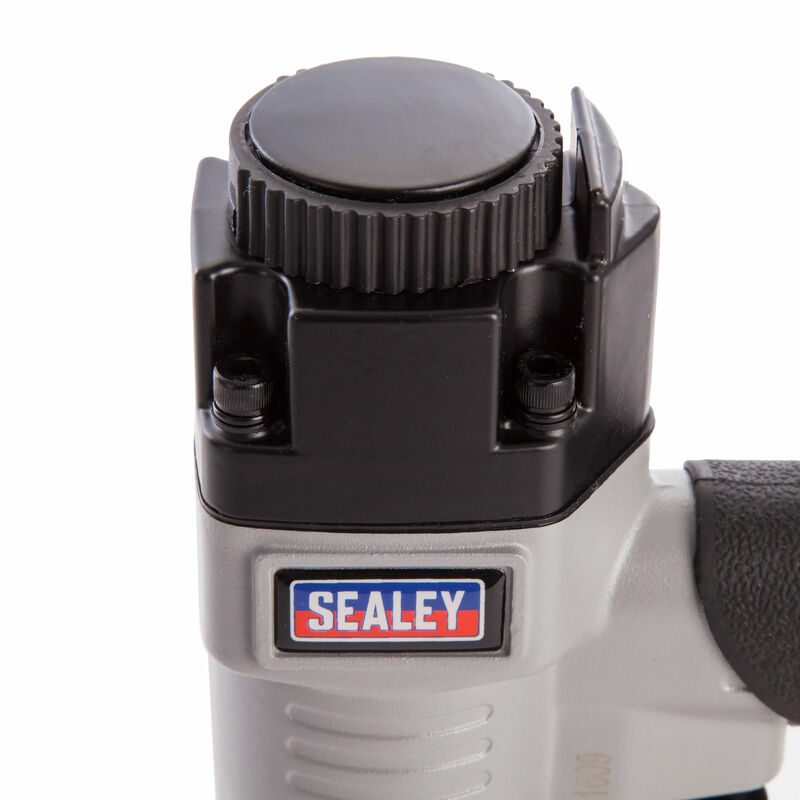 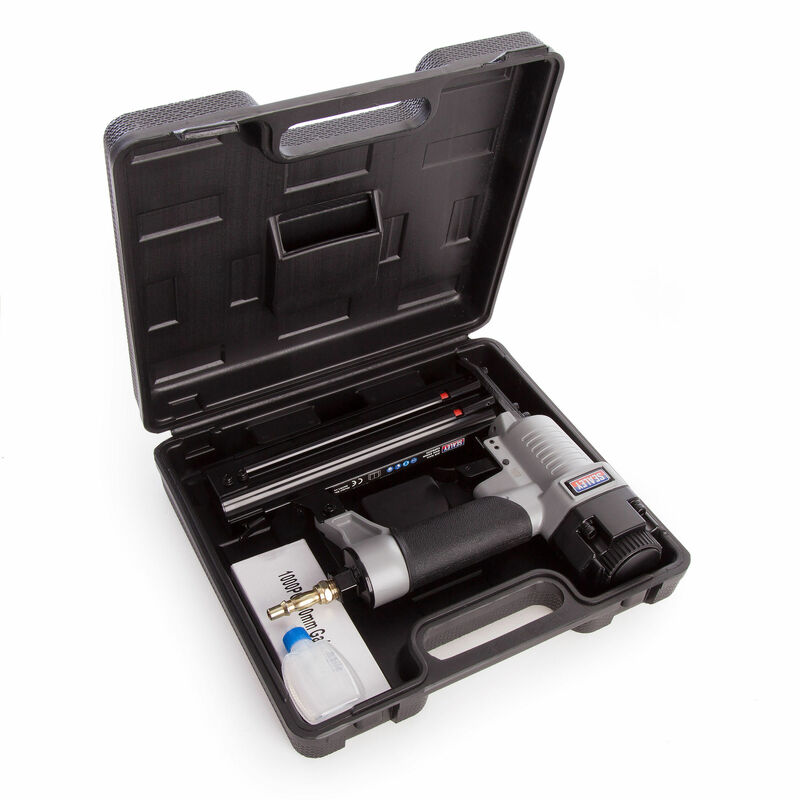 The Sealey SA791 is a Professional Air Nail Gun with a lightweight aluminium body and rubber grip handle. 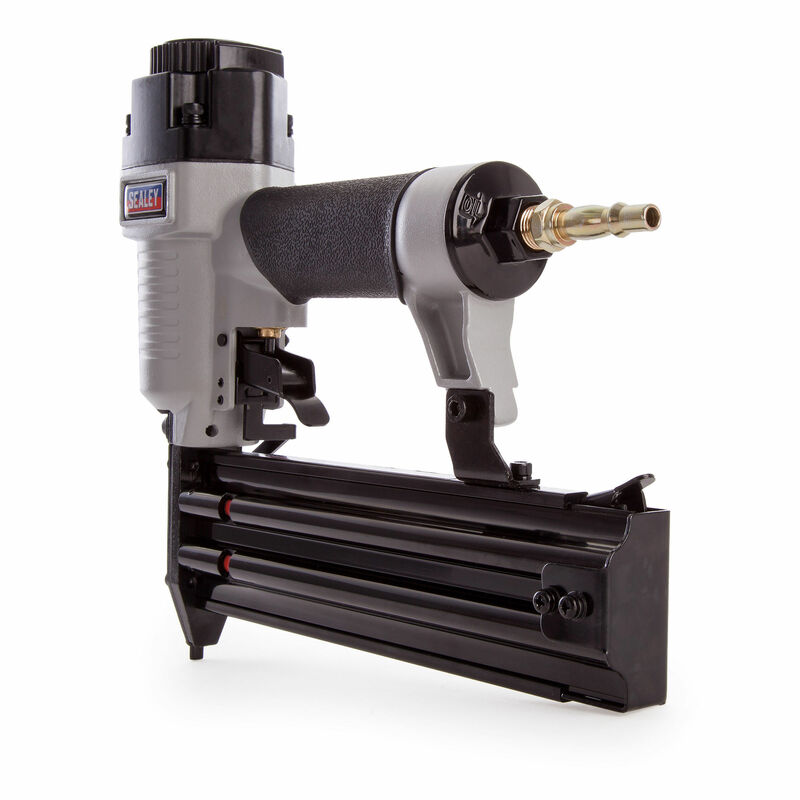 It has a 2 stage operation trigger to fire single or multiple nails. 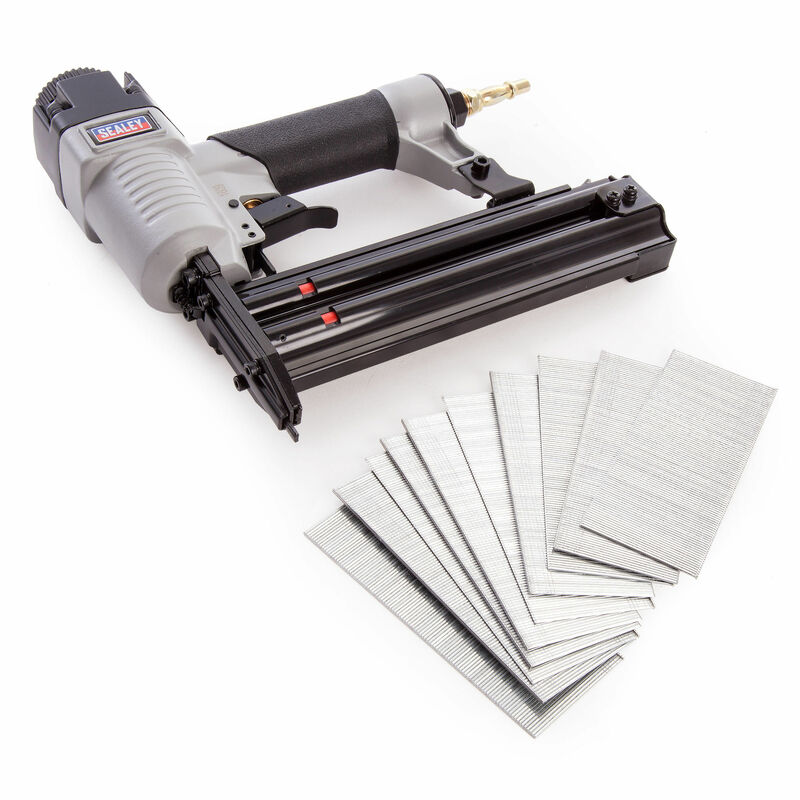 This tool is well balanced, easy to weild and load with a really smooth mechanism. 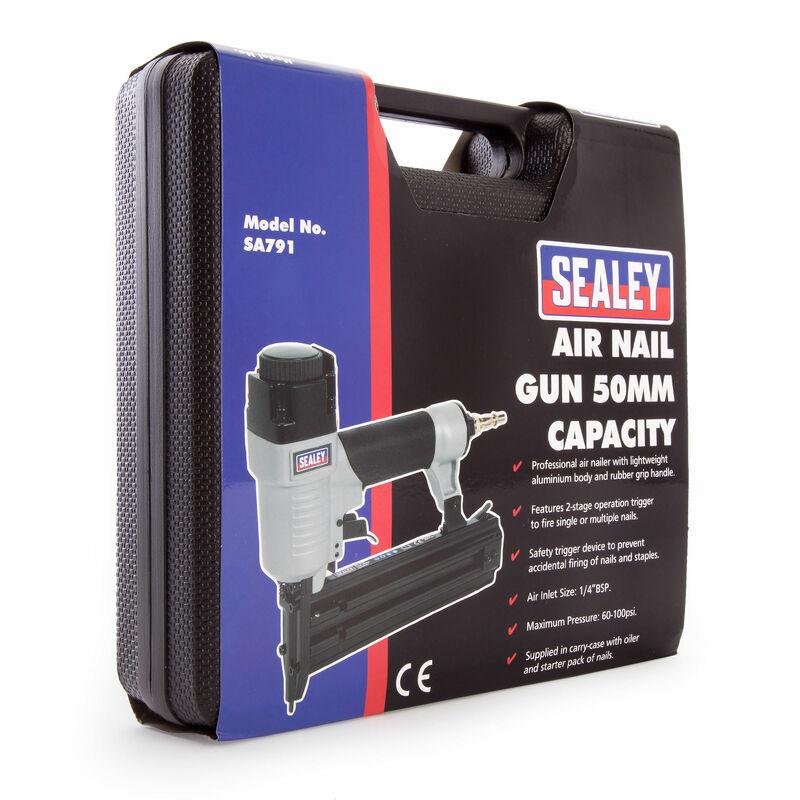 Supplied in Carry-Case with Oiler and Pack of 1000 x 50mm Ga18 nails.